Well, some team won the Cup for the first time ever (congratulations it only took 40+ years). Now it is time to leave those memories in the rearview mirror and look to next season (Thank god!). We just finished up the NHL Awards show, and Free agency starts July 1st. Who is ready for hockey season to be back!?!?!?!??!?!?!? I am. There's nothing to watch Monday-Wednesday. BTW: Sabres get Rasmus Dahlin and are foolishly shopping O'Reilly. At least they can't get any worse standings-wise. So what did you think about Vegas? Fluke season or can they sustain that and get to the playoffs again? I think they've a solid team, great coach and a good GM. They make the playoffs again but they won't be as good next year IMO. Don’t they still get a top draft pick though? I think they may struggle a bit. Teams never got to see the Vegas top forwards because in their old teams they were buried in the 3rd and 4th lines. Now they know how good they are and will adjust accordingly. I hope I’m wrong though. How is this not being respectful? 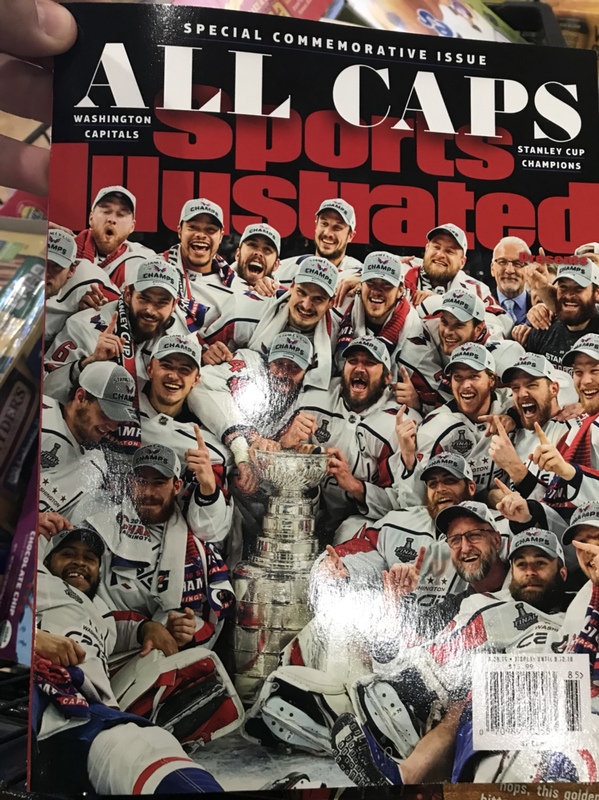 The Caps won and I would be considered a bad fan if I didn’t let you all know every single day!!!! Vegas' first pick isn't until #61. It’s going to be an interesting offseason for them. They have to have a ton of cap space with some of the expiring contracts they took on. Curious to see if they take runs at some big names like Tavares or Carlson. I'm not sure if you guys are buddies and are just playin', but if not geez let the man celebrate. If the Nucks ever win I'm gonna tattoo Lord Stanley on my forehead lol.